Do you have an old couch that has seen better days? Before you send it to the garbage dump, I have a suggestion for you. 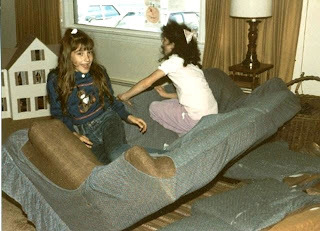 Some of the most fun my brother, sister, and I had at home was with such a couch. My parents delayed getting rid of it for about a week while we turned it into a fun machine. Our favorite thing to do was to take all of the cushions off and scatter them behind the couch. 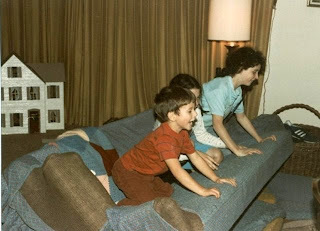 We would then all line up on the opposite wall and charge at the couch all together, taking a flying leap at its back. The couch would catapult backward with us on it and we would go rolling onto the cushions. My brother and I used to love playing with the couch cushions, etc.